Nothura maculosa Temminck, 1815, Paraguay. Eight subspecies. 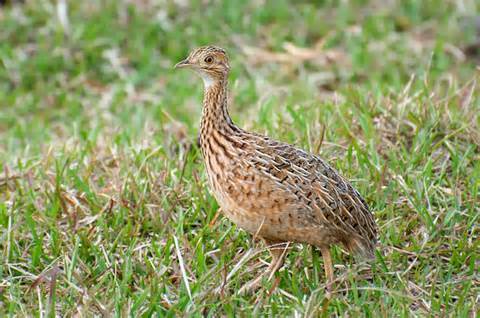 French: Tinamou tachetй; German: FleckensteiЯhuhn; Spanish: Tinamъ Manchado. 10 in (25.5 cm), 0.6 lb (250 g). Female slightly larger. Variable appearance, sometimes very dark upperparts. 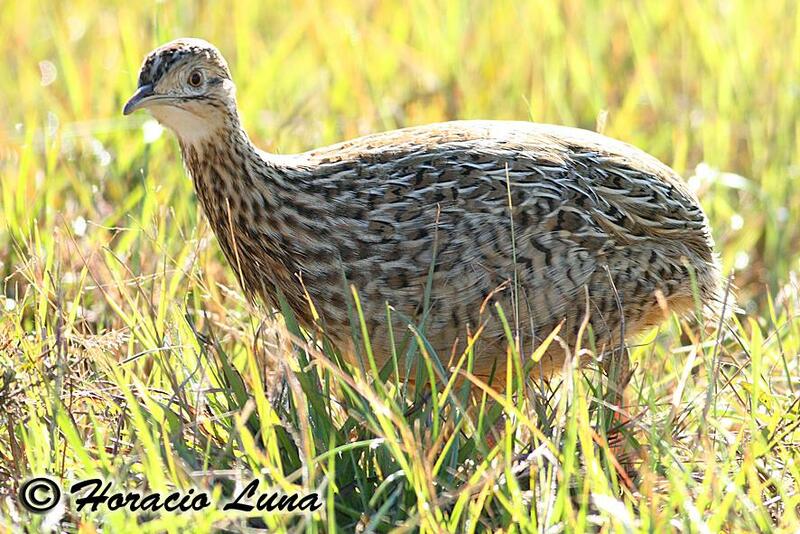 Most subspecies inhabit lowlands, living in open grassland, shrub steppe, and cropland. Its range is expanding as clearing takes place for agriculture. The call is a series of brief, high-pitched piping notes, often given in response to other calling birds. Populations may be very dense in favorable country, up to a bird to every 2.5 acres (1 ha). 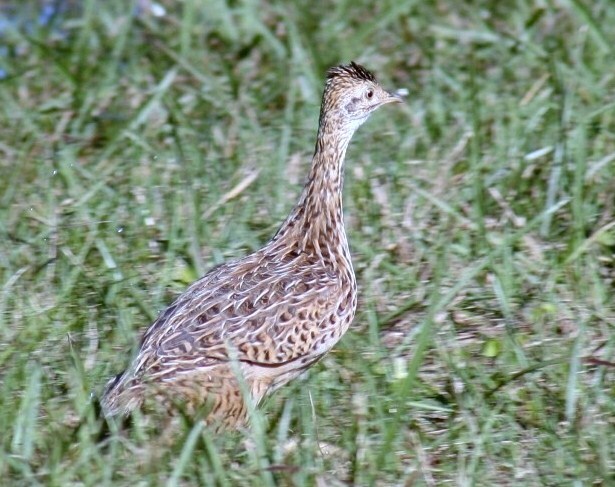 The spotted nothura feeds on vegetable and animal matter, taking more insects than plants in Argentina, but elsewhere feeding mainly on seeds, including those of pasture plants, crops, and weeds. 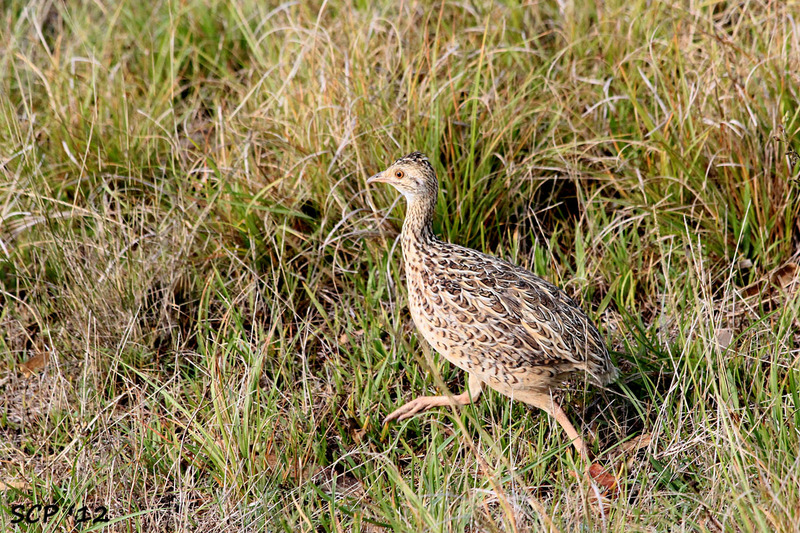 The species has a very high reproductive rate; females can mature at two months of age and have 5–6 broods in a year. Males take longer to mature, or at least to establish nests. As with other tinamous, males undertake all incubation and parenting, often attracting more than one female to lay in a single nest. 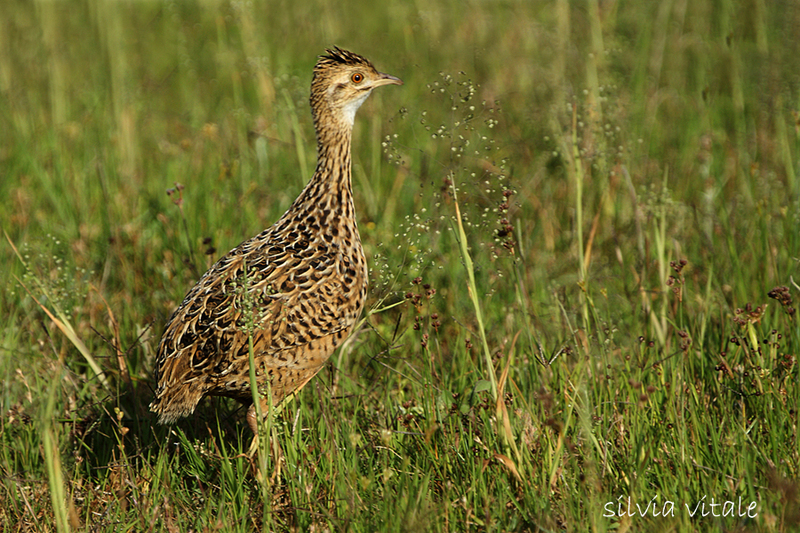 A very popular game bird, but a high reproductive rate and early maturity ensure that it remains common.